I love working with my hands and handcrafting each piece from scratch because I love to have the ability to customise my designs for my gorgeous brides. Recently I had the pleasure to work with US bride Abigail to customise the Sonnet wedding headpiece in silver tones in a slightly shorter and less wide design to suit her bridal hairstyle. I adore the silver branches and the way the pearls and crystals cascade ever so sweetly across the piece. And this ever so slightly compact design will look beautiful positioned from behind in a range of different bridal hairstyles. I can see it secured just above a low set bridal bun, in a half up/half down hairstyle, or even upside down and wrapped around a bridal chignon! Lots of pretty options from the one precious piece. Wearing a veil on your wedding day? 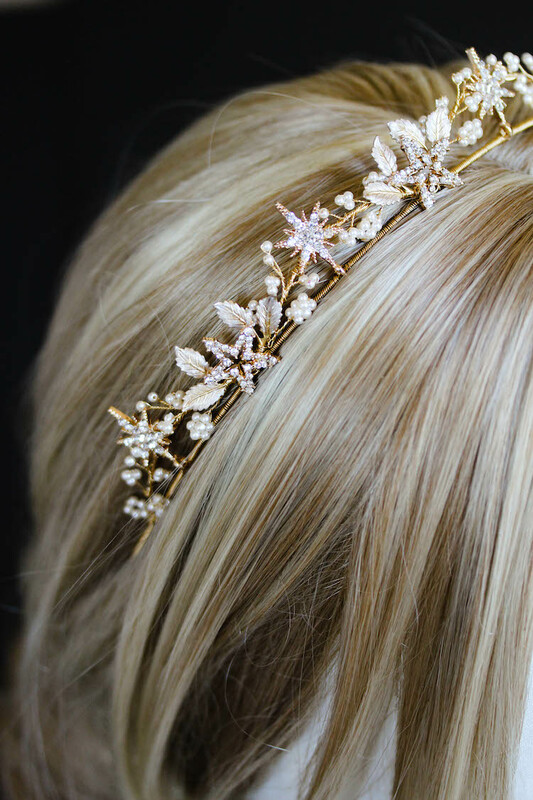 This design can easily be worked into a hairstyle with a traditional bridal veil, just pop on the veil first, and finish off your look by securing the piece’s combs to the sides of the veil’s comb. I prefer to design these longer headpieces so that they secure to the hair with combs towards the sides of the piece (rather than the middle). This means that you can easily style it with a veil without the combs clashing with each other under the hair! Silver is such a timeless tone and it works so beautifully in a range of different hair colours. I love the soft tone of the silver wire and the way it shimmers in the light. It’s not overly grey or dull in appearance but just the perfect shade of shimmery silver for some effortless wedding day glamour. 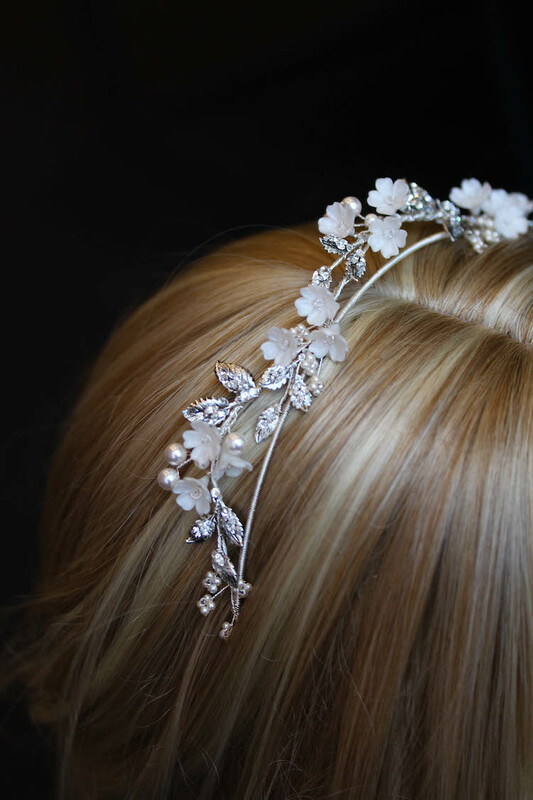 If you love this piece, be sure to check out the Wild Willows headpiece in silver tones also, featuring silver mesh leaves and freshwater pearls, you’ll be in for a treat!